We can reuse almost every old object that just is placed in one of our garden corners. One object to reuse is the reuse of the old pallets, something we can make for giving our garden place an essential beauty. 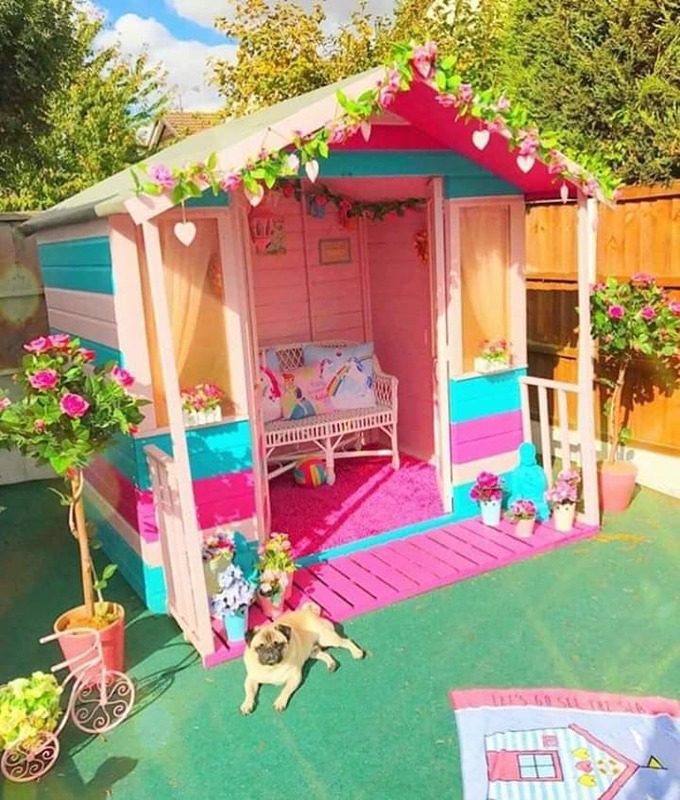 That’s why we decided to show you how to make outdoor seating furniture, how to make small wooden playhouse for kids, how to make pallet’s train and to enjoy in the decor created with love and effort. 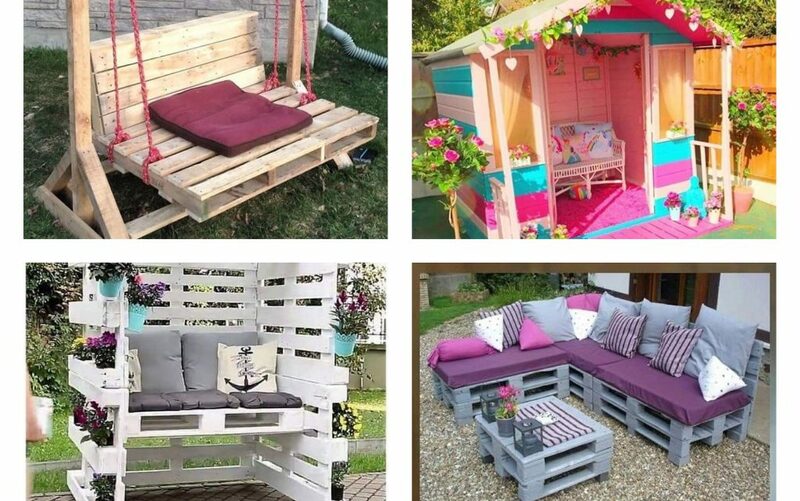 Firs of all, we will start with the youngest and the decor we can make for them by using pallets. We can reuse the old wood panels or pallets and making small wooden house for them that they will use each time when the weather is good. Take a look in the photo now to find motivation. Your front yard deserves the best decor for the front part of the house and you can take care for the design by using pallets. Take a look in the photo here and motivate yourself but also see the other photos that we offer you for reusing the old wood panels you have at garden!!! 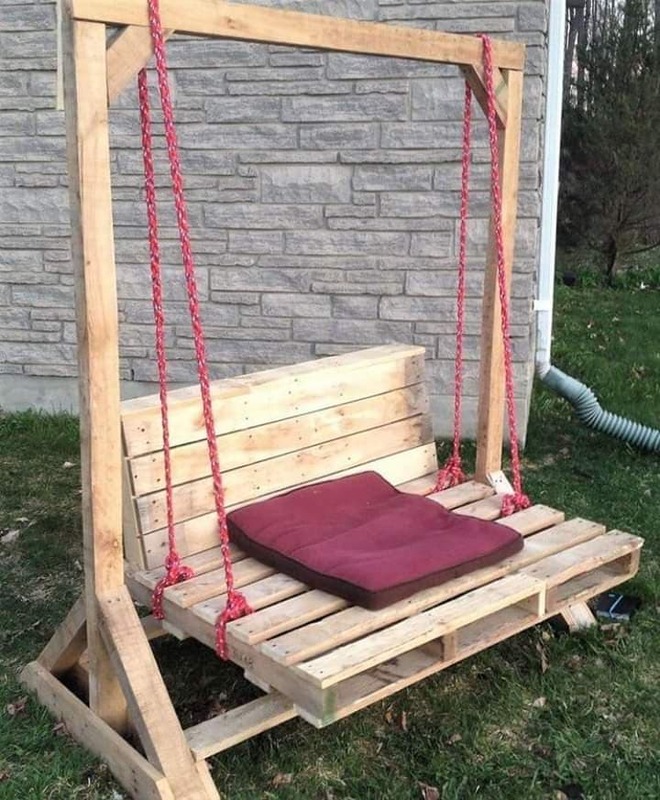 The second idea is about how to hang wooden pallet swing bed in the garden and to admire this object as a part from the outdoor design. Just take a look and find motivation in it!!! 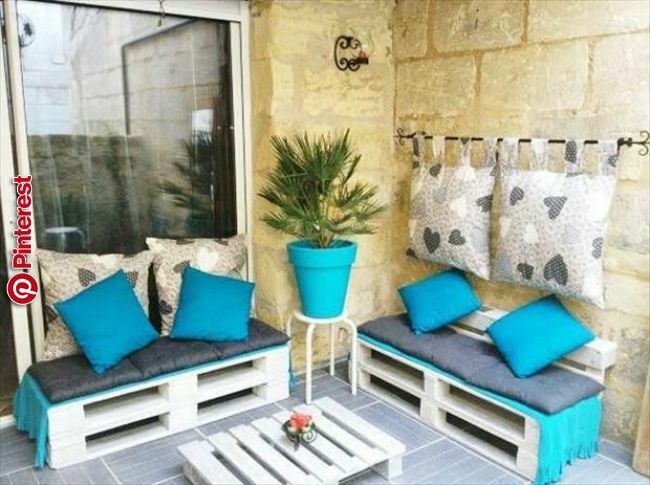 And, we are to the third idea from this post where you can see how to use the pallets for covering the floor, for making wooden bench, for making coffee table. If you make all of these elements you will have perfect place for relaxation. 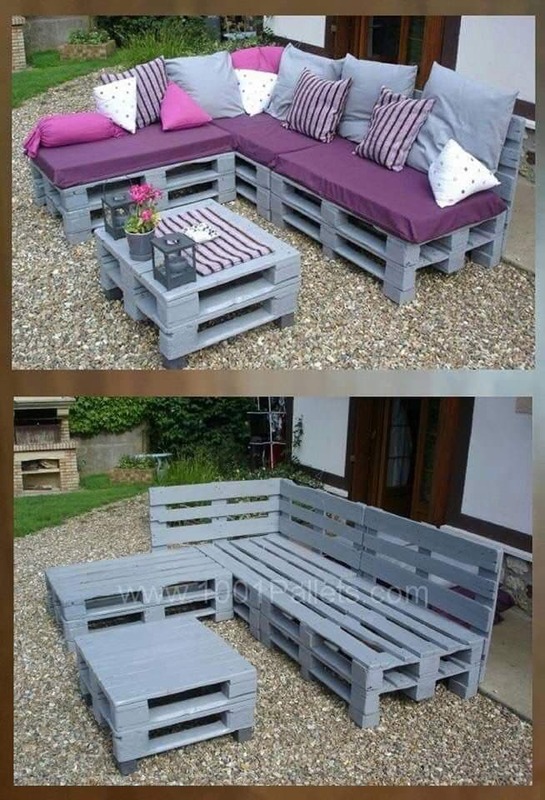 Outdoor furniture can be cheap and made by your hands with the help of the pallets you have in the yard and no one use it. 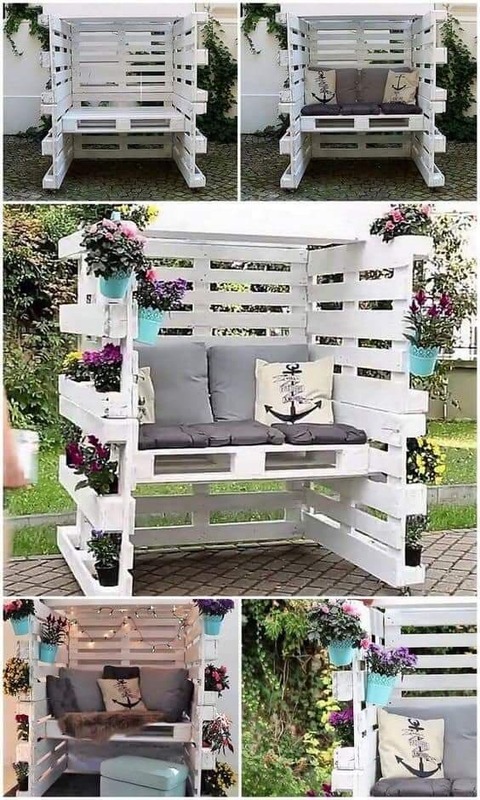 Scroll down to see how to make this thing in your exterior place but also follow the link below to see more ideas with pallets reuse again. Enjoy! 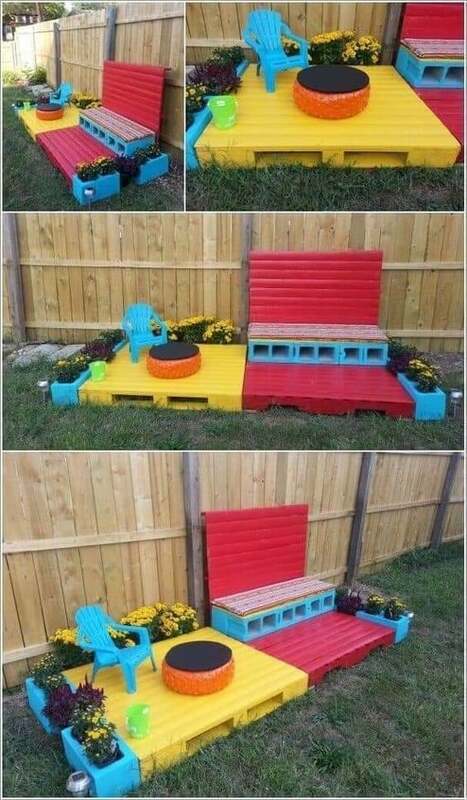 You can create outdoor seating bench but also with this you can have created a vertical garden. Here, you can hang all the flower pots you have on the garden floor and really annoys you when someone walks on it. Make lovely organization and have perfect place for sitting, relaxing, drinking coffee. If you liked these ideas, I’m glad for that and if you still have free time to read something else, read the last post shared on this page, it’s named attractive bunk bed design you can choose for the kids room. Thanks!